Mobile Application acts as a catalyst for increasing the awareness about the services and products hence enhancing the brand image. 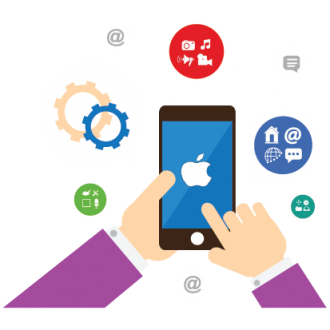 Fleapo’s experience in iOS app development enables to offer various services i.e. proof of concept, feasibility studies, requirement analysis, review of code and design. Our team is well experienced in Strong OOP design & programming skills in Swift, Objective-C including MVC framework. We are familiar with iOS SDK (UIKit, Cocoa Touch, Core Data, Core Location, etc). Fleapo’s approach with agile methods and cutting-edge functionality of app creation results in consumers appreciation for a user friendly product which they proudly display to their family, friends, colleagues, business acquaintances, etc.